Critics of a new “settlement” on water rights between the ancient Navajo Nation and Utah’s government are calling it a “bad deal” that is “giving away” a precious resource. Activist Ed Becenti has questioned the quick pace of negotiations, the result of which waives any future claim by the Navajo Nation to water rights from the upper Colorado River in Utah. Navajo citizens have called on their president, Russell Begaye, to veto the settlement which was approved by the Navajo Nation Council on Tuesday. The deal gives 81,500 acre-feet of Utah’s unused share of water per year. While that’s more than enough for the current Utah Navajo population of 300,000, it’s a tiny share compared to the Uintah-Ouray Utes who negotiated 470,000 acre-feet of water for just 1,200 citizens. The bill passed the council by a 13-7 vote without debate and only a few people in attendance. Navajo living in Utah currently use groundwater contaminated by arsenic from some of the 500 uranium mines abandoned by white settlers. The EPA found radiation levels up to 25 times higher than normal in 2014. According to the Associated Press, the deal will allow Navajo to lease their share of the water beyond the reservation, creating economic development and generating revenue that can be used for their schools and businesses. Becenti told Brenda Norrell from Censored News the deal gives the nation just $5 million for water projects whereas the value of 57,000 acre-feet of water per year is valued at over $100 million. Activists such as Becenti believe the Navajo are entitled to all of the water on their land and blame Navajo Assistant Attorney General Stanley Pollack, who Becenti says is not Native American, for giving away the nation’s water rights. Pollock reportedly intervened to prevent the 108-year-old Winter’s Doctrine from being used to ensure future Navajo water rights. The Doctrine came out of a 1908 Supreme Court case which stated land set aside for an Indian reservation must have water necessary to make the land livable. 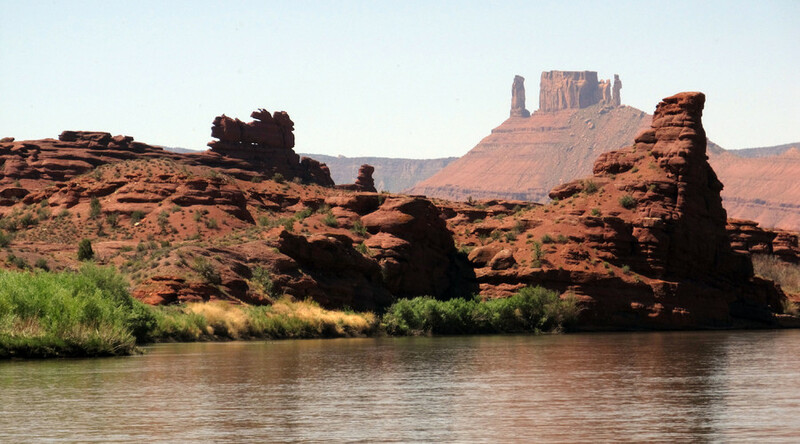 Water rights settlement cases in Arizona and New Mexico were met with opposition after the Navajo failed to secure water from the Colorado River basin in Arizona or the Little Colorado River. Four Native American water rights cases in California, Montana, and Oregon are currently pending in Congress.